Action above and beyond the call of duty, risking life where otherwise life would not be in risk, and exceptionally aiding the cause in doing so. Action should clearly merit the Medal of Honor in any pilots eyes, and this award can only be earned in an organized scenario. Award recommendation must be made by three seperate witnesses and will be awarded by a board of 451st bomb Group Officers. Action not deserving of a Medal of Honor but exceptionally valorous may be awarded the Distinguished Service Cross. The Cross may only be earned in an organized scenario with very rare and extraordinary exceptions. As above, recommendations must be made by two seperate witnesses and will be awarded by a board of 451st group officers. Medal of Honor recommendations may be downgraded to DSC awards. Awarded for exceptional service in a position of great responsibility during an organized scenario. Awarded for superior service in a position of responsibility, either in an organized scenario or within the 451st Bomb Group (H). Awarded for heroic actions involving the risk of life; similar to the Bronze Star Medal, below, but earned outside of organized scenarios. Awarded for heroic actions involving the risk of life; inferior to the Silver Star Medal, and commonly earned only in scenarios. Awarded for incontestable non-combat achievement in the service of the 451st Bomb Group (H) community at large. Awarded for non-combat achievement in the service of the 451st Bomb Group (H). Awarded for heroism or merit in flight during scenario or formal mission participation. Awarded for actions not involving the direct risk of life but otherwise earning the Airman's Medal. Awarded by the 451st Bomb Group (H) CO at his discretion to a squadron for action far exceeding normal expectations. 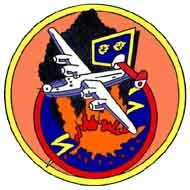 Awarded for continuous readiness for combat as shown by participation in 451st Bomb Group (H) events. Each December, this award is given by nomination of the 451st Bomb Group (H) pilots; command staff are not eligible.